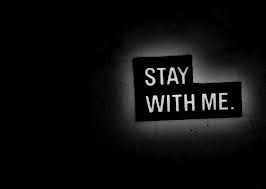 Stay With Me (Endurance Ride) 238 – …it's all about Studio Cycling! Inspiration: I’m behind on my blog and have many playlists yet to post…this one is for Thursday’s 90-minute Endurance Ride. As with most of these Endurance Rides, I like to use longer tracks that have a strong and unique rhythm. Only one current track…Black Sun from Death Cab for Cutie (check out the YouTube video of a recent LIVE performance on Letterman). Others from The Who, The White Stripes, The Doors and Steely Dan go back a few decades. Other favorites include Beautiful People, Turn You Inside Out and Going My Way. Check them all out! Seated / Standing Flat (and Hill) – Beautiful People (feat. Benny Benassi) [Main Version] – F.A.M.E. Once again, thanks Steve! I’ve been focusing on 12 weeks of endurance rides and this is a great help. An added bonus – it includes a number of popular songs from my generation which I’ve been reluctant to incorporate into my playlists.